Our facility has a variety of resources to help get your project off the ground. Whether you're a member or simply need to use our space and tools you can have access to all of it! 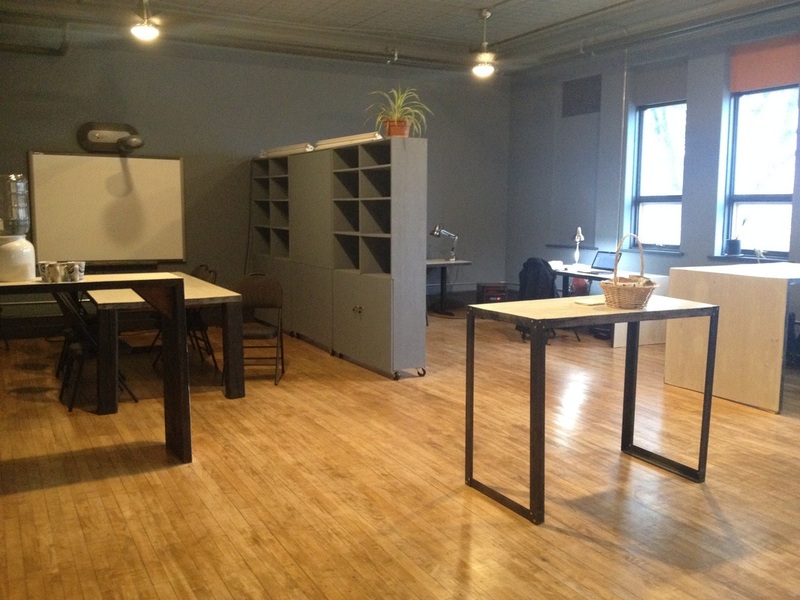 Our tools are now housed at the Learning Lab in the Ville. We've honored the history of the building by restoring the original tin ceiling, hardwood floors and trim. Desks designed and built in-house, from reclaimed barn board, and a stunning accent wall contrast the historical elements and give the space a modern, industrial touch. These rooms are to be used as a buzzing center for entrepreneurship and social enterprise, linking the prototyping abilities of the Makerspace with Fredericton's entrepreneurial ecosystem. "Screen printing is very versatile and this space allows individuals, community groups, or businesses to create their own high-quality, custom clothing, promotional items, art prints, and much more!" A Prusa i3 Mk3 and a MakerBot Replicator 5th Generation are at your service! Our Electronics bench is growing! micro-controllers like the Arduino then check us out. you need to turn your ideas into reality. We're always looking to expand our bank of resources, and generous donations from our supporters help make that happen. Please let us know if you have tools, equipment, or materials you would like to donate to the Makerspace. We can arrange pickup if required.